Having been away on Holiday we returned to find lots of tomatoes waiting to be picked. 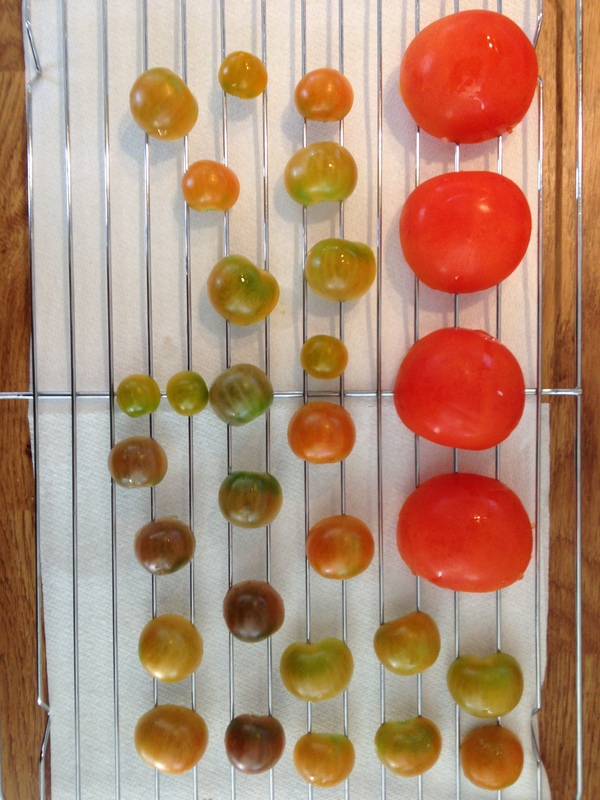 I thought it was the perfect opportunity to try and dry them for lunchtime salads. It was so easy, but I was quite surprised at how long they needed in the oven!!! This is a morning job, so that there is enough time for them to dry properly (don’t start them in the evening – I learnt the hard way). 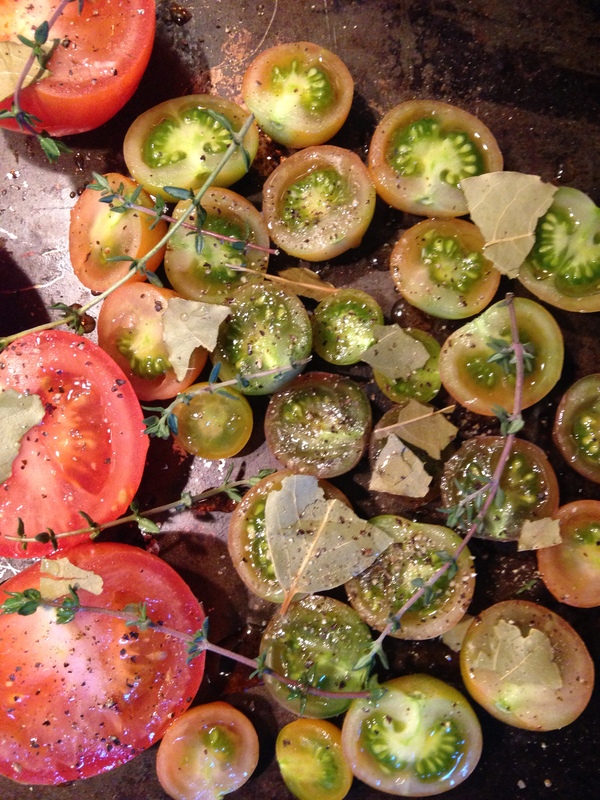 Firstly I cut all my tomatoes in half and sprinkled with a sea salt and sugar mix, approx 1tsp of each mixed together. Then I left for about 1hr on a wire rack cut side down (with some tissue paper underneath to absorb the juice). 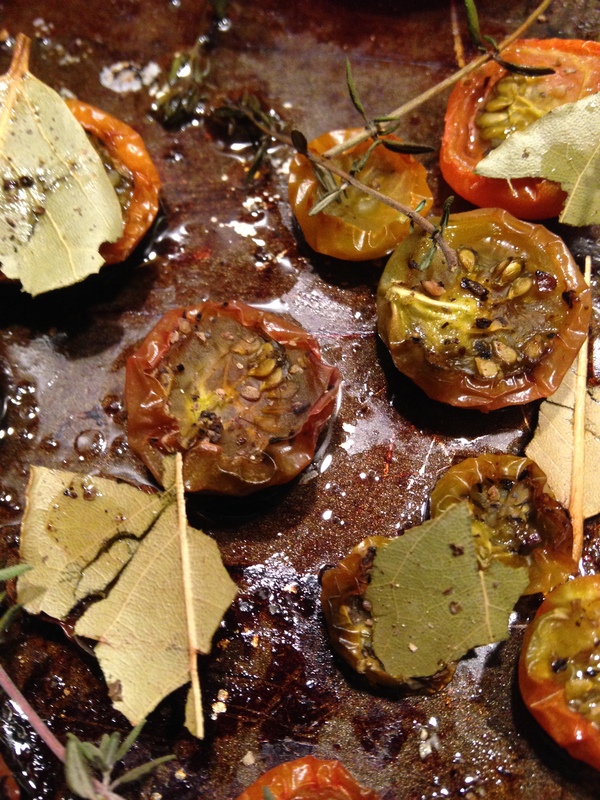 Next, I put them all cut side up on a baking try and sprinkled them with thyme sprigs, bay leaves and some pepper. Drizzle on some oil and pop in the oven on 100degrees. Then the easy bit – I left them. I cooked mine for 3hours, but I would have liked to have left them for longer, some of the bigger tomatoes were still a bit juicy. I think they would need a least a couple more hours to dry them out completely. I added a few of these to our packed lunches, but I think these would be great kept in a jar with all the herbs and some olive oil.